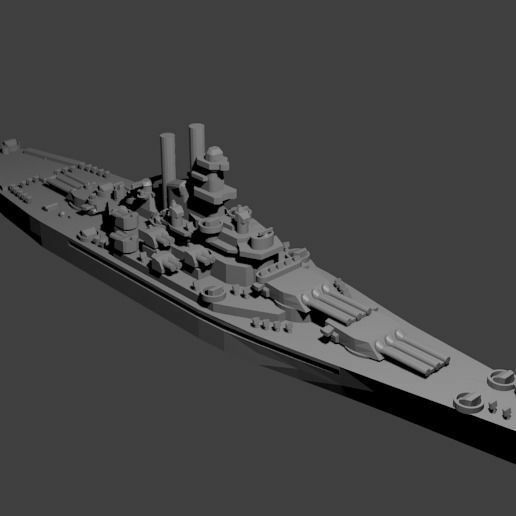 1/1800th scale Bagley Class Destroyer model. Certain elements not to scale. The Bagley class was a series of eight destroyers built for the US Navy shortly before WWII. They were extremely similar in appearance to the Benham and Gridley classes (this model may be used to represent any of the three). Three were lost during the war. They carried four five-inch guns and sixteen torpedo tubes along with some smaller caliber guns.